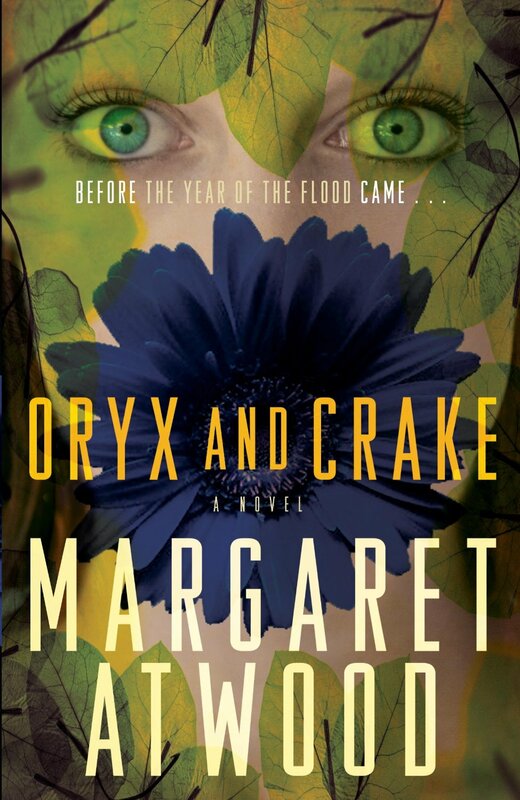 The creative and gifted mind of Canadian author Margaret Atwood unleashes itself yet again in the dystopian novel, Oryx and Crake. Written in 2003, it is the first in a trilogy in which Atwood takes us on a speculative journey into the future. The story begins after a plague destroys civilization. The main protagonist, Snowman (formerly “Jimmy” before the world collapsed), struggles with surviving in a world where he may be the last living human and coping with grief (and memories) over the loss of his best friend Crake, and the beautiful, evanescent Oryx , whom they both loved and coveted. We learn more about Jimmy and his past, through flashbacks, and are drawn into his post-apocalyptic quest for answers. Guiding this solitary man through his journey are these human-like, green-eyed Children of Crake. As they travel through the wilderness which was once a great city, they see hybrid creatures (wolvogs, pigoons and rakunks) roaming the forest, and we later come to realize that these cross-species are the result of genetic engineering. It would be remiss of me to reveal more. I don’t want to spoil the story for you. I have read most of Atwood’s novels and this one roped me in from the get-go, and prompted me to read the second book (in the Oryx and Crake trilogy), called The Year of the Flood. Loved it. Her third installment, MaddAddam, will be released in early September (I’ve pre-ordered it). Dystopian fiction is not for everyone. In fact, I was ambivalent about reading Oryx and Crake but I am glad that I did. It propelled me into a world of “what-if’s” – told by the award-winning storyteller par excellence, Margaret Atwood. In addition, she has written a large body of work: children’s books, short fiction, poetry, anthologies, television scripts, E-books, and non-fiction.